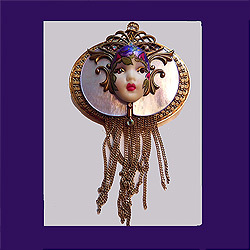 Designed to mimic the magic within the human face and the colors of the metals and materials used in each unique piece, the intricate patterns sure do capture the eye. 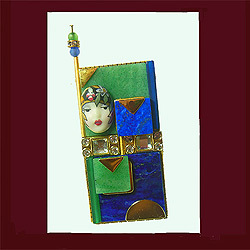 Each unique and stunningly engaging piece reflects the unique hand of the artisans who skillfully created them. 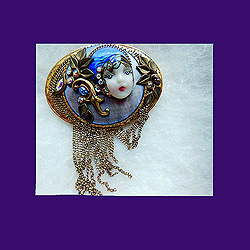 Apparently Eros and Marena collaborated on this collection and only a few were made. 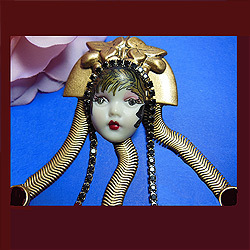 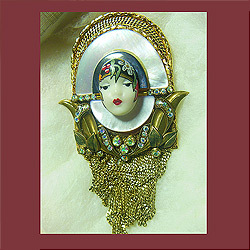 I believe Eros, who was influenced by Erte, continues to design very upscale pins that range into the hundreds of dollars. 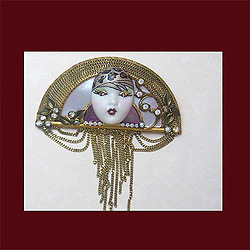 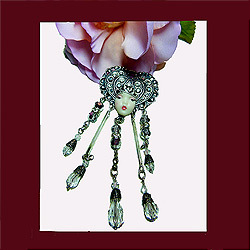 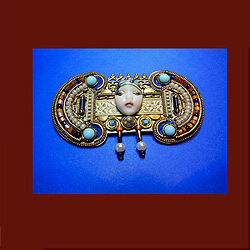 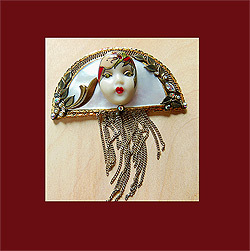 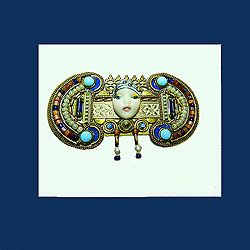 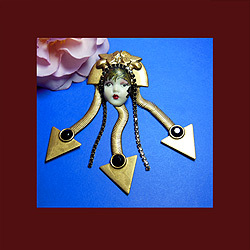 Marena made very few of these face pins and discontinued doing so. 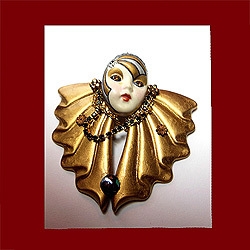 The pins you will find available in this category are quite special and once they are gone, there are no others.